Popping some Cherry Cola Chews, I take a moment to fuel up and survey the scene. 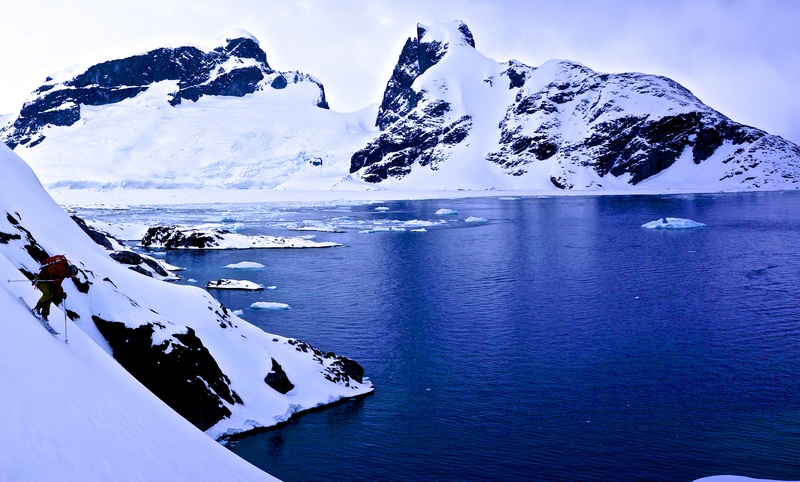 Icebergs, penguins and a frozen landscape encompass my total vantage. The scenery is as wild as it gets. 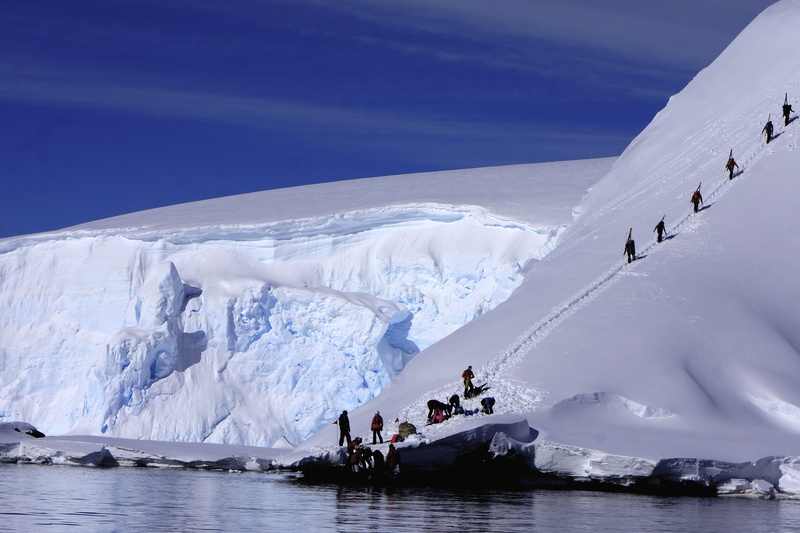 It’s mid November, and there’s no better way to kick off the ski season than an expedition to Antarctica. It became a tradition for Ice Axe Expeditions to make this trip of a lifetime a reality each fall, bringing lucky skiers, riders and travels from all corners of the globe to one of the most magical places to ski tour in the world. As a guide, my clients and I reveled in the daily beauty and unique ascents and descents accessed from our boat each day. The passing of the infamous Drake Passage went well on both sides of the trip, and our ski conditions while on the ice were nothing short of all-time. We even had a full on powder day near the end of the trip, a day that coincided well with a polar plunge party later that night. With winter in full swing, the American West has been on fire this ski season. At home, Lake Tahoe has been enjoying its best winter in a few years. As March nears, it’s almost time for me to make my annual trip up to Points North Heli-Adventures to guide Tour Camp. We’re sold out for the season, but there’s still room on our Ice Axe Expeditions trips to Greenland and Kamchatka this spring for the intrepid folks out there looking for a special ski adventure to cap off their season. Pray for snow and enjoy the rest of winter everyone! To learn more about these adventures and to follow Brennan on his, check out the links below. 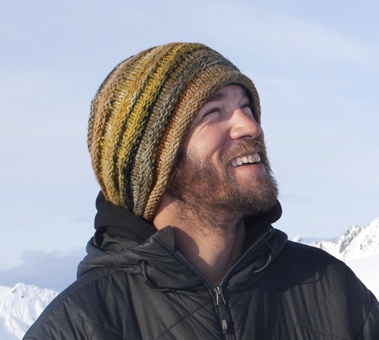 This entry was posted in Hive News and tagged Antarctica, Drake Passage, expeditions, Hive, Honey Stinger, Ice Axe Expeditions, Lake Tahoe, Points North Heli-Adventures, snow, winter. Bookmark the permalink.